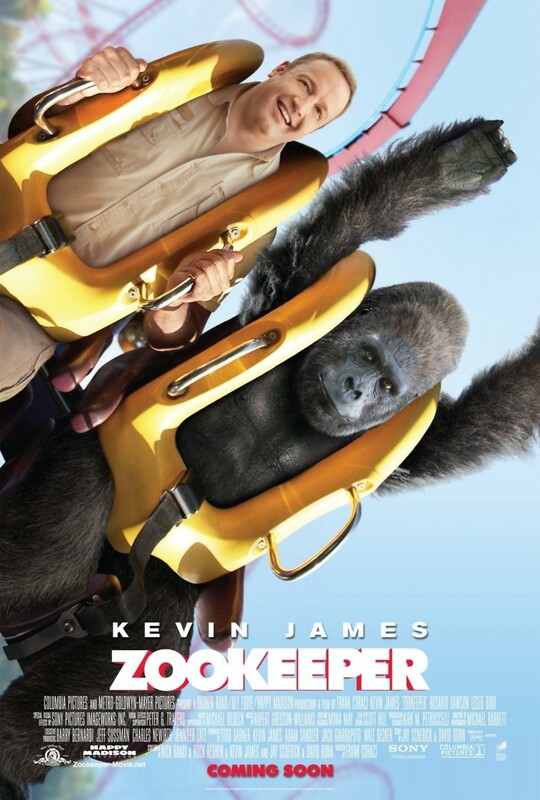 Zookeeper DVD and Blu-ray release date was set for October 11, 2011. When his marriage proposal to his girlfriend, Stephanie, is rejected because of his job, zookeeper Griffin Keyes becomes heartbroken and discouraged. He cares deeply for his beloved zoo animals and refuses to leave his job. Meanwhile, his animal friends devise a plan to keep Griffin's job at the zoo while helping him find love - with the zoo's quirky and cute veterinarian, Kate. Through a series of mishaps and with the love and support of the animals at the zoo, including lonely gorilla Bernie, Griffin is able to find love and happiness in the end.